Samsung | Reviews and products | What Hi-Fi? 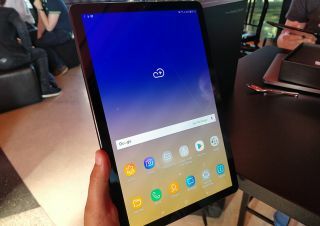 If productivity is your priority, then you may enjoy Samsung’s brand-new Android tablet. Samsung’s latest Galaxy Tab is good, but not quite out of this world. Samsung’s tweaking has made the S9 one of the best Android phones around. This Samsung soundbar will fill even the largest room with sound. Samsung's 4K Blu-ray player has finally landed in our test rooms, but how does it fare? We get a first look at Samsung's Galaxy TabPro S at CES 2016, a 12in tablet that's taking on the likes of the iPad Pro and Microsoft Surface.